Ever since the year 813, when the tomb of St.James was claimed to be (re-)discovered there, the city of Santiago de Compostela in northwestern Spain has attracted many thousands of Christian pilgrims from all parts of Europe, particularly in the Middle Ages. As a result, there is no single route or trail. Of course, it all depends on where you start your pilgrimage. Almost every West European country has an association, society or confraternity dedicated to pilgrimage to Santiago de Compostela, often carrying the name of the apostle involved: St.James, known by numerous translations such as Sint Jacob, Sint Jakobus, Saint-Jacques, Sankt Jakob, Sant Iago, etc. These organisations all provide information on the pilgrimage to their members, and also issue an official internationally recognized ‘pilgrim pass'. Having collected the correct stamps en route, pass-holders are entitled to the official ‘Compostela' certificate to prove that the pilgrimage was accomplished as intended. 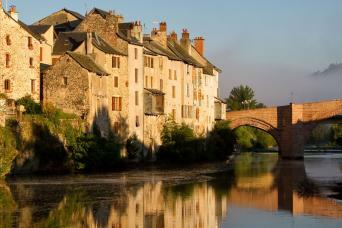 Four routes in France traditionally start from Paris, Le Puy, Vézelay and Arles. 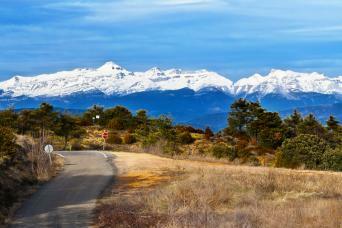 After crossing the Pyrenees they all join into one rather clearly defined route across the northwest of Spain. 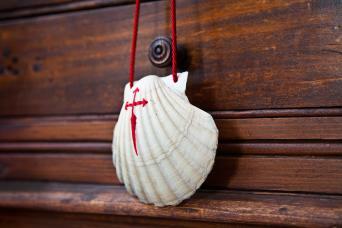 Symbol of the Santiago de Compostela Pilgrim Way(s) is a scallop shell, also used for waymarking the route (yellow scallop shell against a blue background). 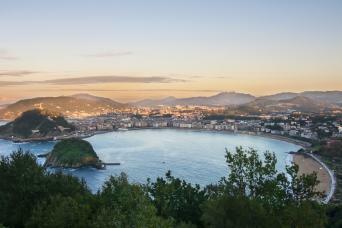 The classic Way of St. James is the Camino Francés. The three main Ways in France - Via Podiensis, Via Lemovicensis, Via Turonensis - come together in the Pyrenees and cross the mountains near Roncesvaux. Hence, the Camino Francés turns straight west over the plains of northern Spain to Santiago de Compostela, a walk of about a month.The fourth main Way from France - Via Tolosana - crosses the Pyrenees at Col du Somport, follows the Camino Aragonés in Spain, and joins the Camino Francés in Puente la Reina. 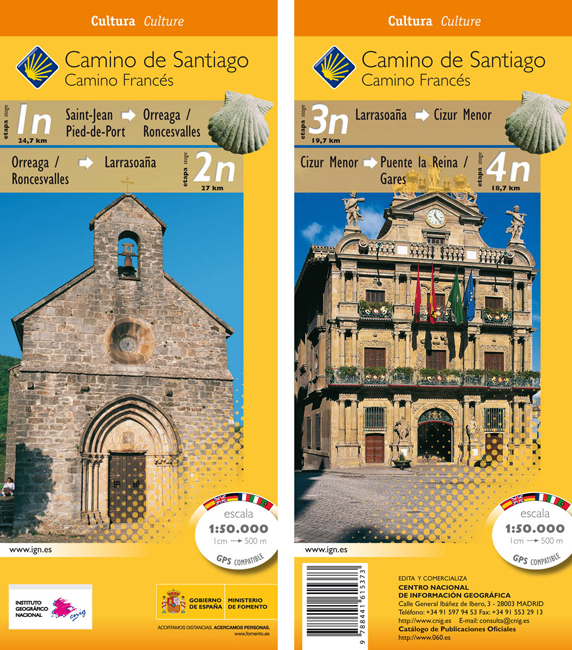 France has been quick in developing the modern pilgrim routes to Santiago de Compostela. Four main Ways have been laid out, based on historical relevance. These Ways pass numerous churches and other religious monuments dedicated to the mediaeval pilgrimage to Santiago, and this alone makes France a splendid pilgrimage destination. Moreover, pilgrims from Europe had to cross the Pyrenees and to have lengthy wanderings through France if they wanted to visit the holy grave of St. Jacob. 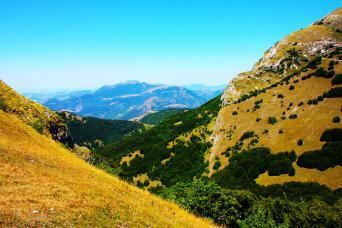 Next, parallel to the previous Way, is the Via Lemovicencis, popular for pilgrims from northern Europe. The modern version is the GR654, but be aware that this GR takes a different route from the official pilgrims way. 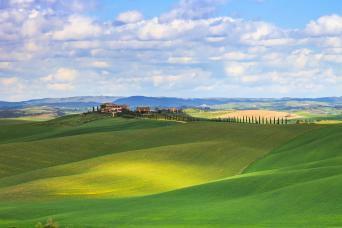 Both routes are, in terms of landscape, more interesting than the first Way over Paris. The third main route, and like the previous one a pretty route too, is the Way over Le Puy-en-Velay, the Via Podiensis. This has been dubbed the GR65. This important Way was and is used by pilgrims from the south and central Europe, from Hungary to Poland. The fourth main Way is the Via Tolosana, bringing pilgrims from Italy, and connecting to the other important pilgrim destination, Rome. Traveling via Toulouse, these pilgrims cross the Pyrenees at the Col du Somport. The state name is GR653. Modern times and modern devotion asks for new horizons. So, we are not done with mentioning the four main Ways. New ways have been developed over the last years. Belgium has a dense network of pilgrim ways. 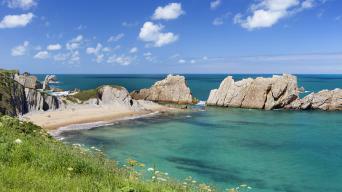 They run north-south, and bring pilgrims from Holland, Flanders and Wallonia to France. The Belgian Ways of Saint James connect to the Via Turonensis over Paris and the Via Lemovicensis over Vézelay. There are five main clusters of trails. One of the main routes is the central-west route connecting the west of the Netherlands to the Via Turonensis, GR655. The second important route runs parallel to the Via Brabantica, connecting ‘s-Hertogenbosch in the Netherlands to Namur in Belgium. This route connects to Vézelay, the Via Lemovicensis. Between these two main vines of the Way of Saint James in Belgium, several shortcuts are available so that if you change your mind, and turn to Paris instead of Vézelay, or vice versa. The third route is probably the most popular one for Dutch Pilgrims, not because it is the shortest, but rather because it is a nice one to walk. It connects the Pelgrimspad to the Vézalay route, the GR654. Then we should mention a coastal route from the Netherlands, entering Belgium at Sluis. This route is bending east and connects to the Via Turonensis. And finally, a nice route is being developed in the Ardennes. The Netherlands is a country of hiking fervents, so it is not surprising that there are quite a number of pilgrim ways crisscrossing the country. One will clearly observe a difference between those trails that are meant to please the senses, and those that are meant to call upon as many churches as possible. The latter are recognisable by their fancy mediaeval names starting with “Jacobsweg”. Due to the country’s geographical location, there are two obvious directions to Santiago de Compostela: one over Paris (Via Turonensis) and one over Vézelay (Via Lemovicensis). Since the latter is far more popular, most Dutch pilgrims follow Ways to Limburg, the southeastern corner bordering Belgium and Germany. Let’s start with the option over Paris along the coast. Starting in Wieringen or in Den Oever, the pilgrims head for Haarlem. From Haarlem, the path continues south more or less along the coast. In Schipluiden is a bifurcation: one way goes east to Antwerpen,the other continues south. Continuing south, there is a second split in Vlissingen. One way goes to Brugge in Belgium, the other to Gent in Belgium. In Belgium, continue the pilgrimage on the Via Brugensis (over Brugge), Via Scaldea (over Gent), or Via Brabantica (over Antwerpen). The other pilgrim way to Paris has historic roots. The start is in the north of the country, either in the village Sint-Jacobiparochie or in the town Uithuizen. These Ways head for the village Hasselt. Then the route continues to Utrecht, Breda and Antwerpen in Belgium. In Belgium, continue on the Via Brabantica. There is an alternative: the GR12 connects Amsterdam to Paris. The Dutch part of the GR12 is called the Floris V-Pad. Two Ways connect the busy west of the country to the province of Limburg and Vézelay. The Pelgrimspad is primarily a trail for walkers enjoying the countryside. The Jacobsweg Amstelredam is primarily a trail for pilgrims enjoying cities and cathedrals. From Maastricht, continue your pilgrimage on the Via Mosana to Namur. A second option is to leave the Netherlands in the little town of Thorn and follow the Via Limburgica. Things get a bit complicated here. The same paths in the north of the Netherlands that are used to go to Paris, are also frequented by pilgrims heading for Vézelay. Hasselt has the key to this mystery: the village is a main intersection of pilgrim ways. From Hasselt, continue on the Jacobsweg Nieumeghen. Halfway, in the old city Doesburg, pilgrims from Oldenzaal will join you. This part of the Way is more or less the same as the Hanzestedenpad. In Nijmegen one can continue south. But the real pilgrim will make a large detour to ‘s-Hertogenbosch, an important religious center of the Netherlands. The direct Way to Vézelay heads for Maastricht and Liège, Belgium. This route is sometimes on German territory, sometimes on Dutch territory, and even sometimes on Belgian territory. From Maastricht, continue on the Via Mosana. Or - alternatively - follow the Via Limburgica starting from Thorn. Spanish site about the pilgrims ways to Santiago de Compostela with detailed information on itineraries, lodging, monuments, history etc. Good start for the German Ways to Santiago. Website about the different options to travel as a pilgrim from Germany to France. Yes, pilgrims came from everywhere, and also from Denmark. 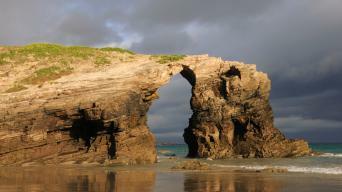 Here is the Danish portal for pilgrimage walks. 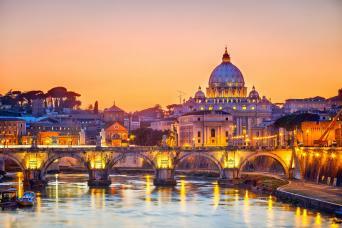 Peter Robins offers a good overview of current pilgrim ways in Europe. Interesting website. Some routes are described into detail and GPX files are provided too. Overview map of Ways of Saint James in Belgium. For the German visitors: here you find a page that introduces the Jakobswege in France. 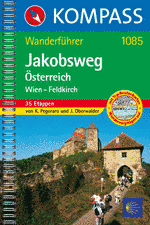 Concise source of information for the Austrian part of the Camino de Santiago, or Jakobsweg. Complete overview of Jacobean Ways. Website devoted to "Les chemins de Saint Jacques"; Practical advice and spiritual support. 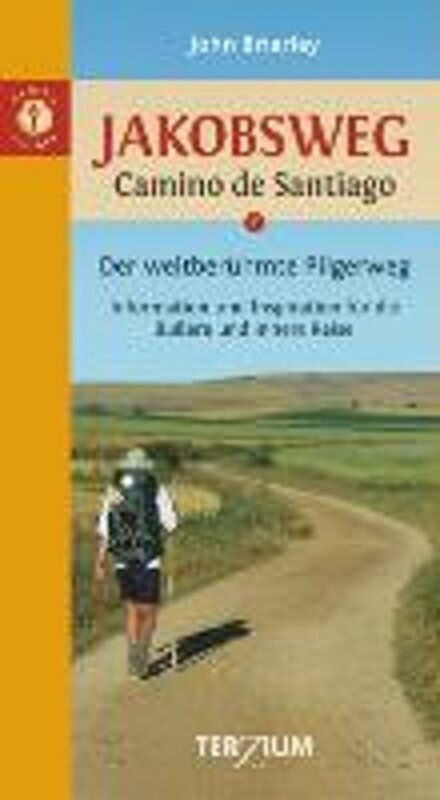 Website by Thekla Schrange and Aloys Schafer, containing lots of useful information on the Santiago de Compostela Pilgrimage routes. 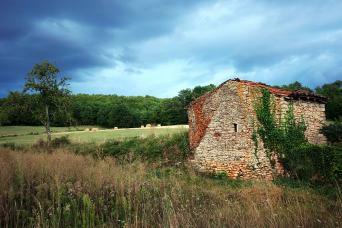 Another home page on the Camino de Santiago. 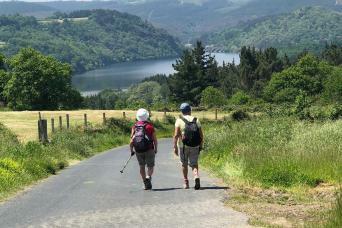 Website by the Management Society of Xacobean Plan, based in Galicia, with detailed info on the different routes of the Camino in Spain and also Portugal. 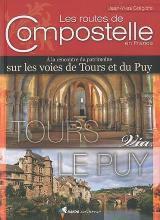 French website with lots of information on the pilgrims ways to Santiago de Compostela in Europe. 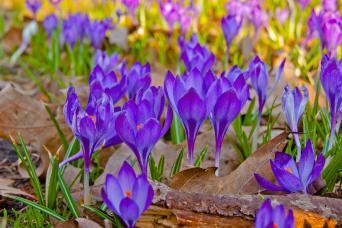 Multilingual website on the Camino de Santiago. Mainly pictures. 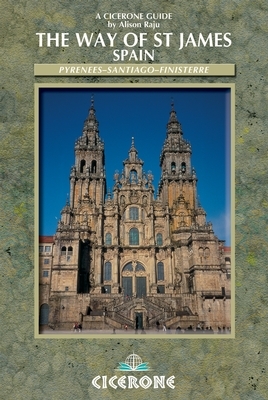 All trail journals from the popular www.trailjournals.com regarding the Camino de Santiago. Francis Tapon was not too happy walking to Santiago de Compostella. 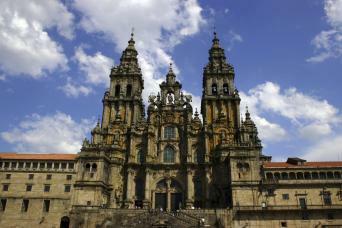 "El Camino Santiago (The Way of St. James) is the most overrated long distance trail in the world". He explains why. 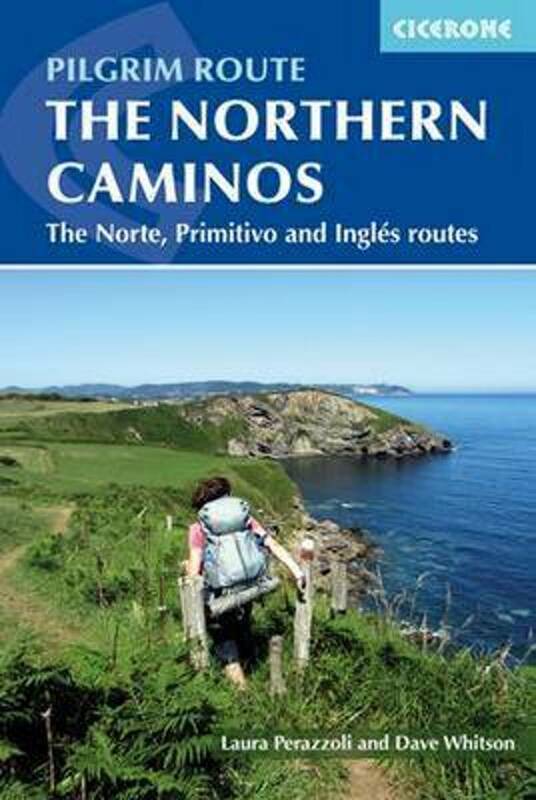 Galician Xacobeo Pilgrim's Guide, giving a list of hostels along the different routes of the Camino, in Spain and Portugal. The Spanish Confraternity (a federation actually) of Saint James has lots of detailed information on the different Ways in Spain. The Austrian organisation for the Camino de Santiago - Jakobsweg. 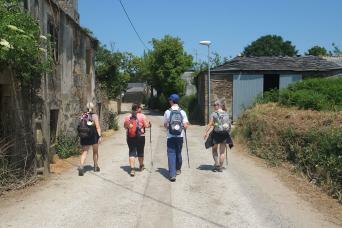 Friends of the Santiago de Compostela Pilgrims Way. The FAQ gives you clues for your preparation. American association dedicated to what they simply call The Camino. 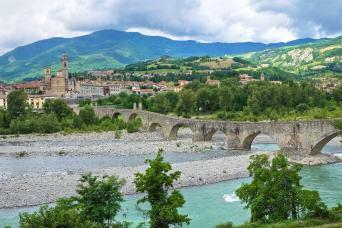 French association of St.James Pilgrimage ways in the Rhone and French Alps region. Swiss association of friends of St. James Way. Also in French. 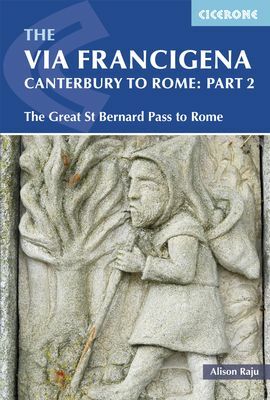 Why is there no separate chapter for the walk to Rome from Northern Europe, containing e.g. 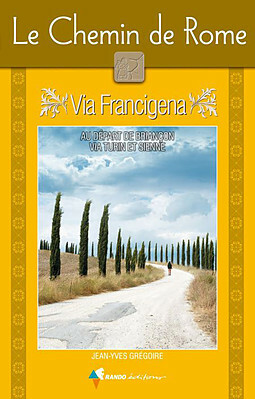 the Via Francigena over the Alps? Not only is this route much more interesting from a landscape point of view it is also by far less crowded. 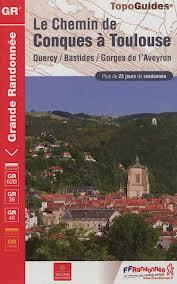 Hi I will be walking from Le Puy starting 09-01. What weather will I most probably encounter ? Also do I need to call ahead to get a bed? Will my American phone work? Walking pilgrim site by Peter Robbins is no longer in the air.